On this day I did alright. 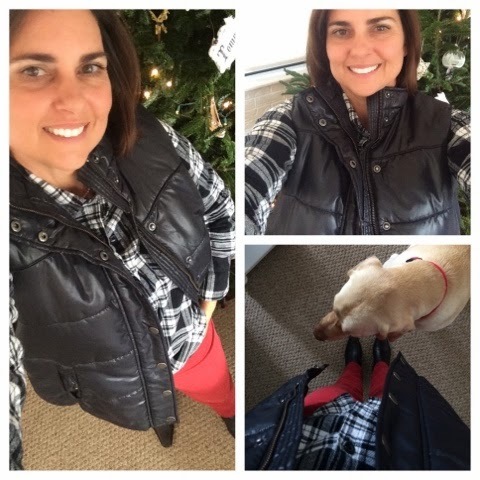 I wore my black and white plaid flannel shirt with my black puffer vest but rather than pairing it with black jeans or leggings I added a pop of color by wearing red jeans. Since I don’t have wedge boots, I went with my heeled booties from the fall challenge. 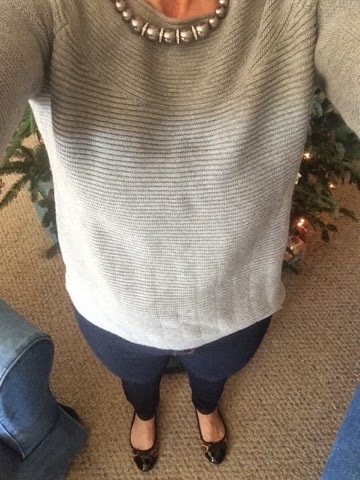 I liked this outfit and was comfortable yet put together all day. On this day, I had to do some subbing. 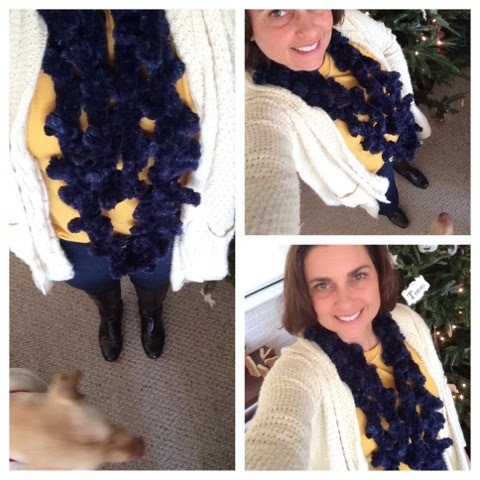 I don’t have a long printed cardigan so I went with my waterfall cardi paired with a mustard layering tee and since I don’t have a fur scarf I went with a blue knit scarf that is furry and fun. I did wear skinny jeans and riding boots. Another winning combo. Comfy in this one too! 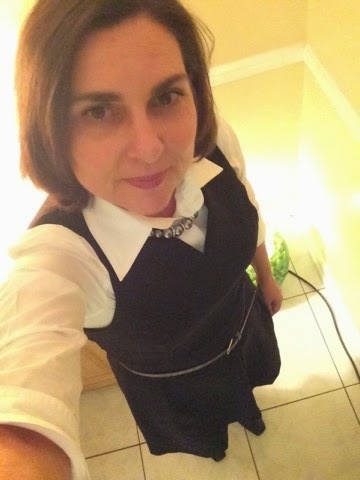 Then that night we hosted a wine and cheese gathering for a few friends and I changed into a Build Your Basics Challenge outfit: sheath dress, white button down shirt, black heeled boots, skinny leopard belt and a blingy grey pearl necklace. Loved it! Felt stylish in this simple outfit. Here’s where the outfits start to fall apart. We had planned Kib’s Bay for the whole day so a dressy sweater and heels were completely out of the picture. 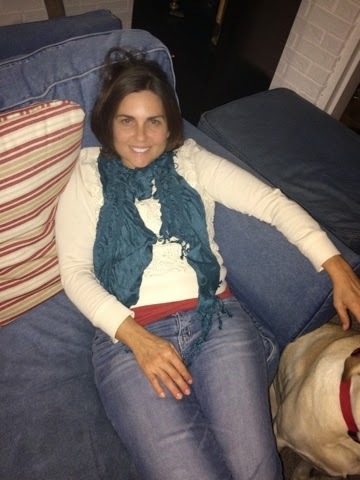 I went with comfy in mind so I wore my striped shirt from the fall challenge under a white corduroy shirt, boyfriend jeans and comfy closed shoes. Aw man! The only picture where you can see me is riding the Segway in St. Augustine. On this church day I wanted to wear a dress so rather than wear this outfit, I went with one that I learned about from a past challenger: this striped sweater dress from Target. 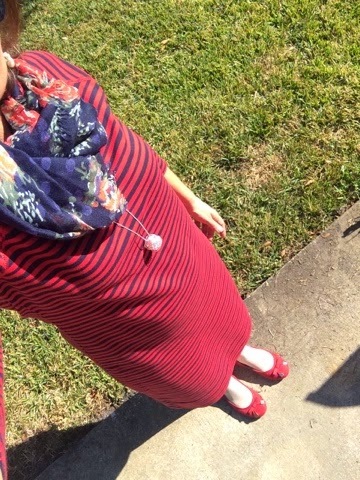 I paired the stripes with a floral and polka dotted scarf, cream tights and red flats. 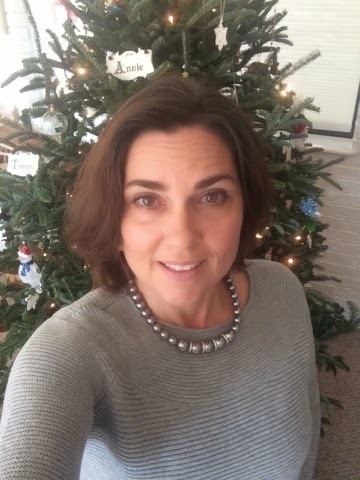 I shopped my closet and wore a sweater that I think of as dressy but it’s not blingy, so I added my grey pearl necklace to it to spice it up. (When I bought this necklace last year I hardly wore it. Now I’m wearing it a LOT!) And since it was quite warm yesterday, I skipped the boots and subbed my trusty leopard flats. This was a perfect outfit for shopping at the Towne Center. I’m really in need of a haircut. When it gets longer it gets flat on top. Adding that to my to do list for next week! I’ve always wanted to ride a segway, looks fun! Your first outfit is my favorite! It’s very fun! It was our second time doing this particular tour. Went with friends the first time and the kids the second. I am such a sucker for a good puffer vest! Love your puffer look! Also, so jealous of your segway experience. I have been wanting to ride one for a while but just have not gotten around to doing it! Thanks Chelsea! I have several vests; they come in so handy in our mild winters. 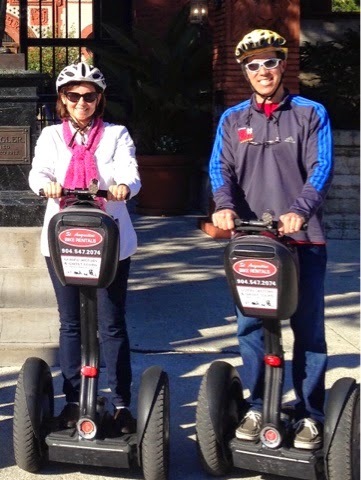 The Segway tour was so much fun! I really like your interpretations of the outfits. How was the segway? I think it looks like fun, but I’m so klutzy I’m afraid I’ll get hurt! It was really fun Lana! My 14 yo daughter and 16 yo son also did it. You quickly learn how. Try it! 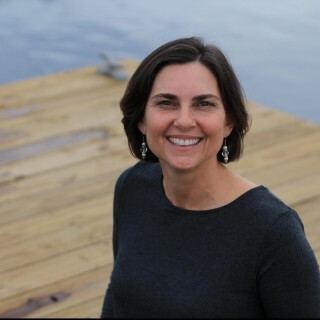 Great looks – I like your build your basics dress/shirt – that is my kind of dress up look. look at you all dressy!! !